Fences are a fact of life. They form the boundary lines of our gardens, providing privacy, security, shade and mark out the land that we call our own. But they are more than purely practical. Fences have the potential to add style and character to your garden, and even change its overall look. I always say: if you can’t get rid of a garden feature, make it part of the design! 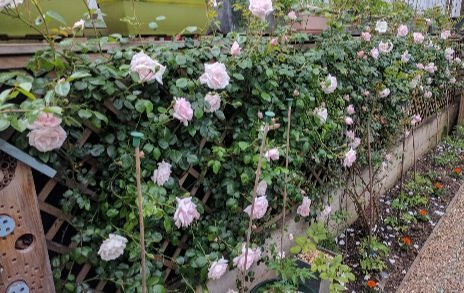 There are so many benefits to having a garden fence. 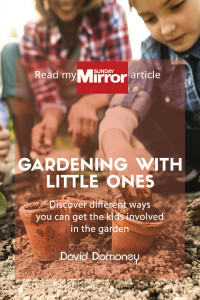 They come in hundreds of styles and sizes, which means you can always find something to suit your garden’s individual style and design. Plus, you can create your own colour scheme with the huge range of paints and stains available. plants. They give great support for shrubs, flowers and climbing plants. 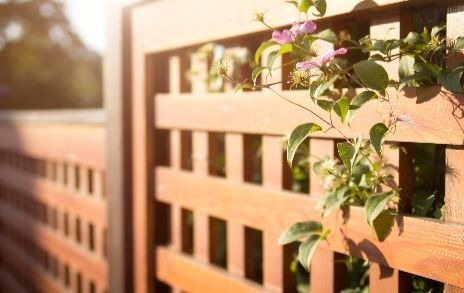 Fences are perfect for smaller gardens because they take up less space than traditional boundary enclosures like walls and hedges. They’re easy to install because the individual panels simply attach to posts set securely in the ground. Most DIY novists would be able to put up their own fencing with a little help from a willing volunteer! 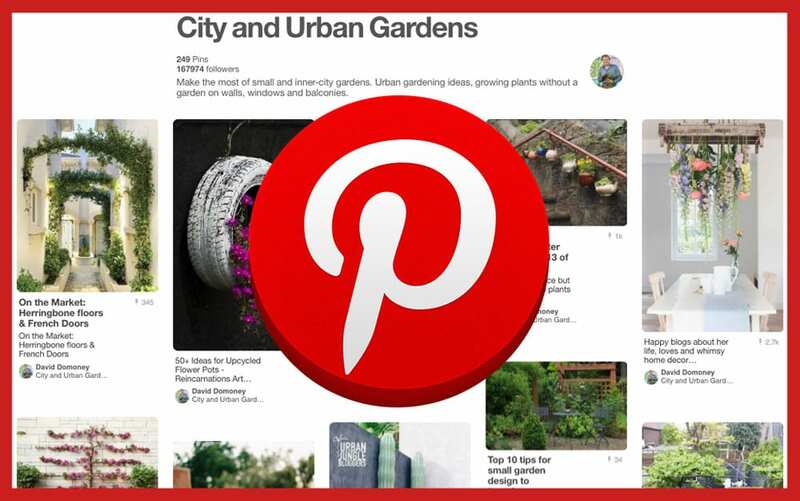 You can also use decorative fence panels within the garden to divide up your space and create separate areas. 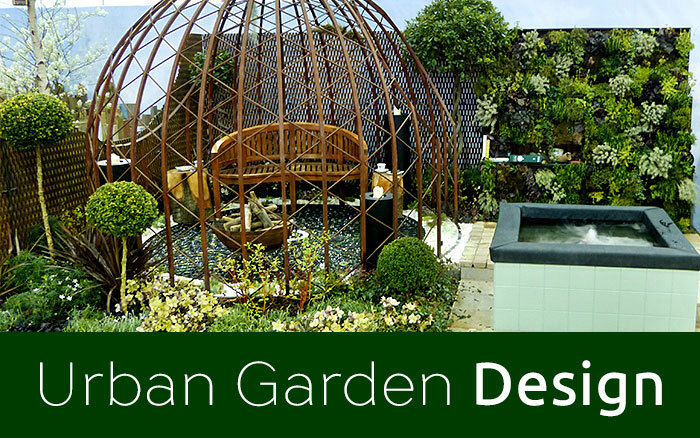 This allows you to have more fun with your garden design by giving each section a different look and feel. 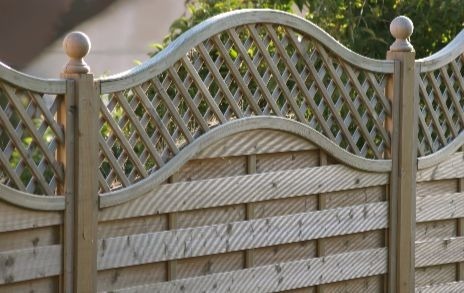 Traditional lap fencing is the most popular and widely used fencing in the UK. Each panel is constructed from horizontal partially overlapping boards, giving it a rustic look. It is simple and easy to produce, making it a cost-effective choice. 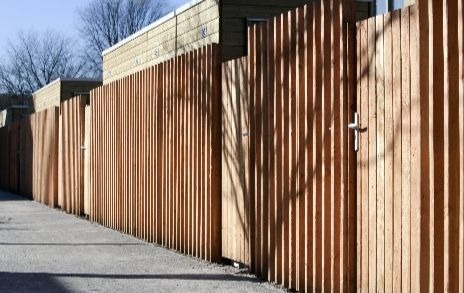 So named after its method of construction, it’s made from two layers of vertical or horizontal boards with each layer offset from the other, giving a streamlined, modern-looking fence that can stand strong winds. This is sometimes known as closeboard. It is the heaviest, most robust option for boundary fencing. Each panel is formed from overlapping vertical boards. 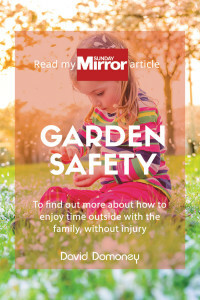 It offers great security and privacy for your garden. Trellis fencing has open, crisscross slats that create a square or diamond pattern. It may not be private enough for boundary fencing, but it makes an attractive feature on top of solid fences. Trellis panels can also be used as screens, creating separate areas of the garden. And they are excellent for supporting climbing plants. This is a traditional type of fence and gives the garden a natural look. Hurdles come in various heights and can also be used as a screen within the garden. Low panels look great around the borders of raised beds and vegetable gardens. Also known as palisade, this fencing is usually low to provide better views. It suits front gardens or open boundaries. Short versions can also be used within the garden as an attractive border for a seating area. Treating the fence is time-consuming and can feel like a chore. 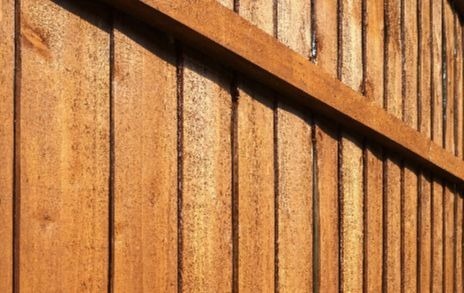 But rain and frost can penetrate untreated timber in your fence panels and posts. This causes rotting and rapid deterioration, which inevitably means forking out for a replacement. 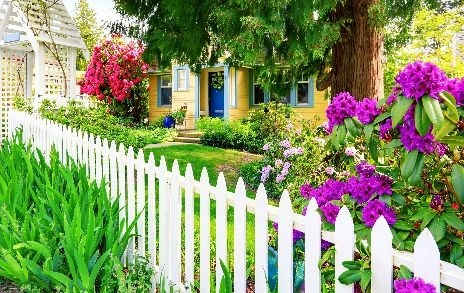 Treating your fence every couple of years will extend its life, saving you money in the long run. Plus, it creates an instant impact and gives your garden a face-lift. 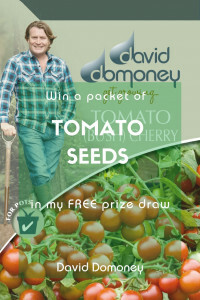 This is a cost effective way to get a designer backdrop that really highlights the plants and trees in your garden. 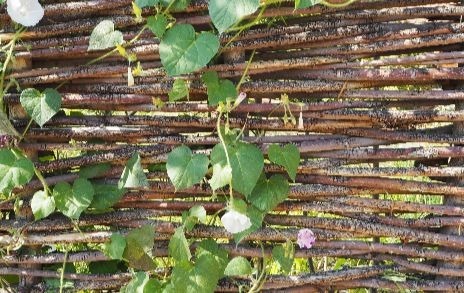 Most modern fence treatments contain water repellent waxes and resins to protect the timber from the worst of British weather. You can also buy a special wood preserver to use as an undercoat, giving you extra protection. 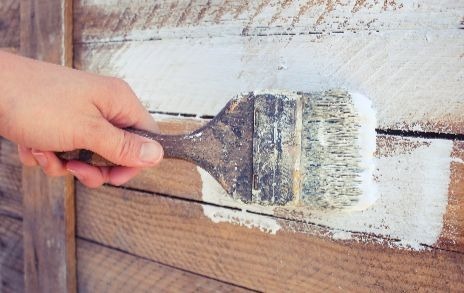 There are two types of treatment: stains—watery dyes that soak into the wood and changing the colour but leave the grain visible, and paints—richer in pigments that sit on the wood’s surface and act as a barrier. Typically, stains are less upkeep because they don’t chip, but you will need to apply the treatment more often. Paints are available in a wider range of colours but they can be prone to chipping. 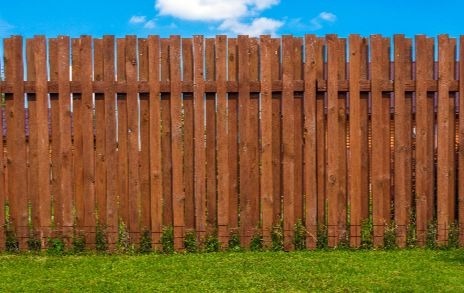 The best time to treat your fence is before it goes up in the first place. Apply the treatment to all the boards and posts before you install them. If your fence is already up, wait until you get a dry day with plenty of cloud. Ideally, look to work in a calm day so that wind isn’t an issue. If it’s too windy, you will end up leaves and debris onto your wet fence. Hot sunshine will dry out the treatment too quickly and could make it streaky, and it makes for tiresome work and you want to take your time. 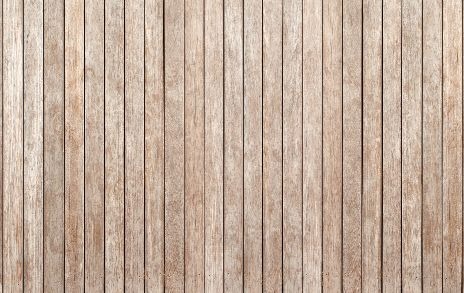 TIP: If you like the natural faded grey colour of cedar fences and don’t want to paint over it, choose a clear wood preservative to just protect the timber. If your fence is already standing, take some time to properly prepare it. Clean away any dirt, cobwebs and debris with a stiff brush and some warm water. Sand down any areas that have splinters and refasten any loose boards. 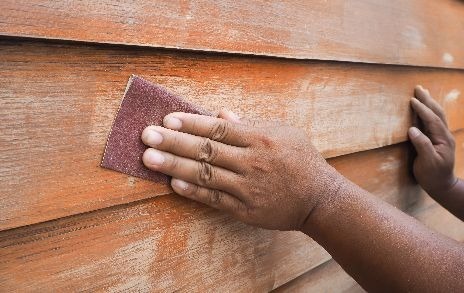 Use a wire brush to remove any flaking paint and sand down the whole fence to create the best surface for the treatment to adhere to. Then give it a wipe with a damp cloth to pick up any dust left behind. The fence must be dry before you begin to apply the treatment. 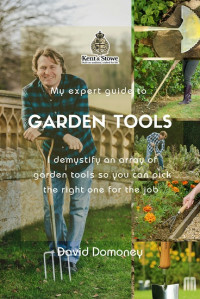 TIP: There are also plenty of treatment products for your wooden garden furniture, sheds, planters, pergolas, decking and other timber garden structures. Fence treatments can be applied with a brush or spray system. It’s worth investing in a sprayer if you have a lot of fence panels as the process can be slow. Or save time (and elbow grease) by using a small roller to cover the face of the panels. Wedge spare cardboard underneath the fence to catch any drips. 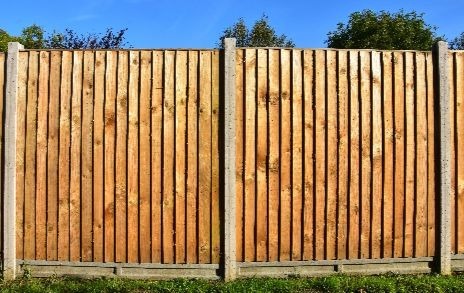 Treat the fence one section at a time, applying the treatment following the grain of the wood and working from top to bottom. Always brush back to ensure an even application. You may need a small brush to get into the corners of your fence. Remember to cover the tops of the posts and panels, which are most exposed to rainwater. Leave to dry as the pack instructs. TIP: Always cover plants and shrubs with dust sheets if you choose a spray system to apply the treatment. 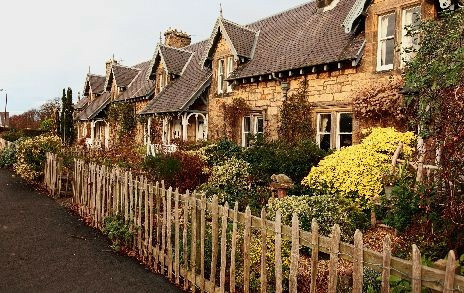 Short picket fencing in a natural wood shade creates a traditional cottage garden look. Add a low gate and other wooden garden items like planters and bird boxes. This style complements informal planting such as colourful meadow flowers. Protect the wood with a clear preservative that won’t cover the natural grey cedar colour. TIP: Make it more modern by painting it a pastel shade like cream, grey, blue and green. 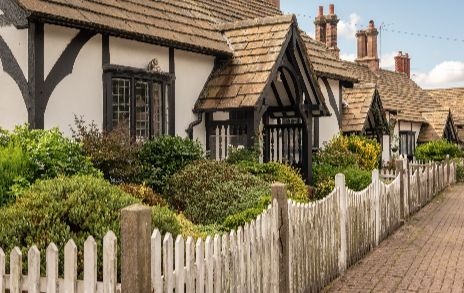 Get the classic British suburban garden look with richly stained fencing. For some added interest, choose a style with a curved or trellis top. There are plenty of stain shades to choose from – try an intense red cedar or a deep earthy brown. Apply a stain every couple of years to keep your wood looking fresh and striking. TIP: If you want more privacy, add a short trellis panel on top of your existing fence for extra height. Make the most of a countryside garden with a trellis fence. It is light and rustic, and offers privacy without blocking out light or the view. Make it feel like part of the garden by growing climbing plants through it. Roses, jasmine, sweet peas, clematis and honeysuckle all work well. And use trellis panels within the garden as screens, to create a cosy seating area or divide up your space up into sections. TIP: Use trellis to grow climbers up the walls of your house too, and even around the doorway! If you want an earthier, more natural look, go for willow or hazel hurdles. They work well with trees and woody shrubs, and any green foliage. These fences are great for exposed gardens as they allow the wind to pass between the branches, rather than buffeting the panels. TIP: Use short willow or hazel panels to mark out a raised veg plot or flower bed and give it an organic look. 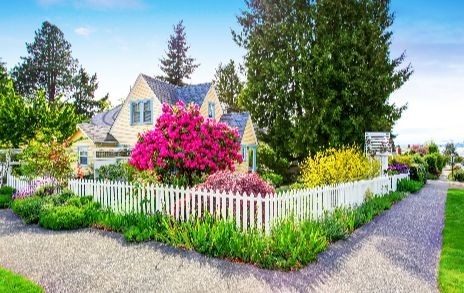 Why not emulate American front yards with a decorative white picket fence? It’s a striking way to mark a border without spoiling the view, and it complements colourful planting and exuberant borders. This works on front or back gardens and gives a more traditional style, without making the space feel closed in. 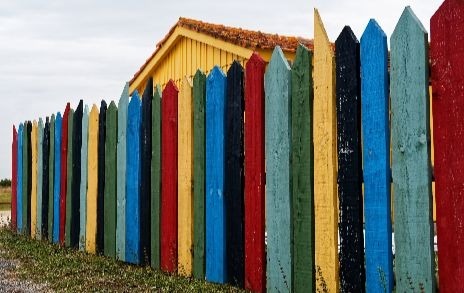 TIP: Make sure to repaint the fence every couple of years to keep it looking smart. Fences inspired by beach huts give a relaxed coastal vibe. Paint the fence in white or pastel shades for a light Mediterranean feel. You can also paint the fence slats in different colours. This takes more time but it has such a strong visual impact. Remember to reapply the paint every couple of years to keep it looking fresh – it’s a great excuse to try out a new colour! TIP: For added impact, use the same colour scheme on your shed and other wooden garden structures. 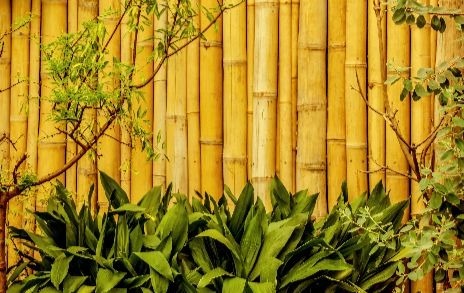 Get a fresh, tropical look with bamboo fences. They add a natural element to garden design, and the hollow tubes help to absorb external noise and make your garden more tranquil. Bamboo fences are also a low-maintenance choice – just apply a preservative every few years. TIP: Complement bamboo fences with other bamboo wood – furniture sets, planters and pyramids. High fences are a hallmark of city gardens. They filter out noise and offer privacy from the gaze of overlooking neighbours. The best way to make use of high fences is just to cover them in colour. 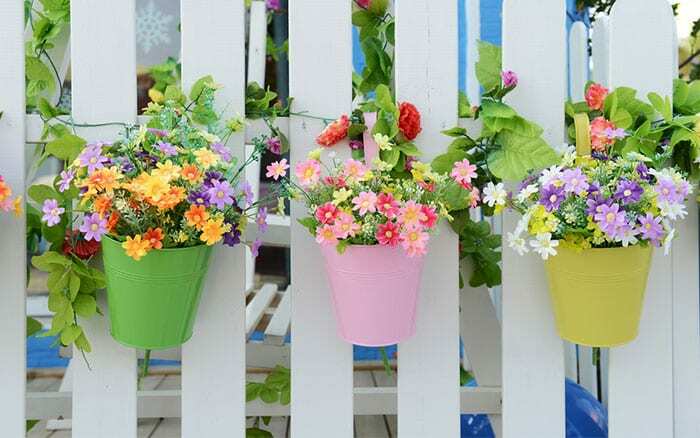 Use stains and paints on the wood, then add shrubs, climbers and hanging pots and baskets. 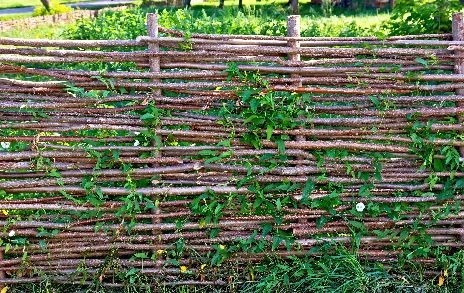 Use sections of trellis as extra support for climbing plants. TIP: Plant canopy trees around the edge of city gardens for even more privacy. If your garden has a modern design, choose a fence with smooth wood and bring it up to date with a coat of paint. Try a pale grey behind white and cream flowers. 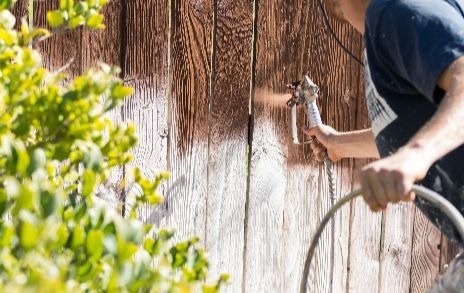 Give your fence the occasional wipe with a damp cloth to keep it clean, and reapply the paint every couple of years. Tip: Use modern-looking plants. Choose grasses, fleshy succulents and tropical-style plants. Do your bit for the environment with a fence made of separate recycled wooden posts sunk into the ground. Make sure all your posts are the same width, but aim for a variation in height and colour. The more weathered, the better! TIP: Pick up old wood for low prices at reclamation yards and recycling centres. Check it over before you buy to ensure it’s not rotting.